Hey guys, hope you are doing well, this article going to be interesting! 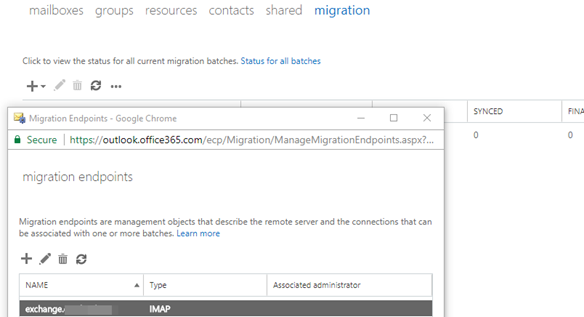 Long time I wanted to introduce you the Office 365 migration options, Recently, I had many Exchange and Office 365 migration projects to complete, a roughly 3-4 project that I have to manage and lead, each one is different and more challenged, I really love doing this type of project!!! it requires preparation, design, implementation and project manager skills, therefore I would like to talk little about them and show you which migration options do we can initiate using Office 365 migration built-in options. This mode allows us to migrate on-premises Exchange mailboxes to Office 365 and work at the same time on both sides. You can still work in the on-premises Exchange and receives emails, you can migrate mailboxes to office 365 and receives emails over there as well ,this method is the preferred to an organization that planning to move into office 365 services, Because you can do it in your leisure time and according to selection, without pressure, try to think about it, you decide which mailbox to migrate or not. 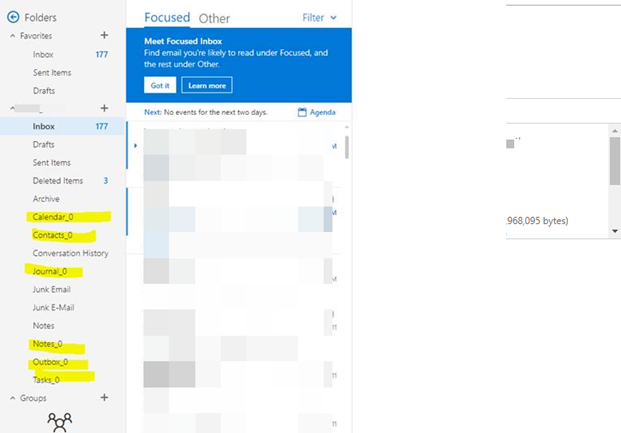 Usually, we migrate about 10-20 mailboxes at the same time and as soon as the migrate finish the user gets a message that the “The Microsoft Exchange Administrator has made a change that requires you quit and restart Outlook” and you have to re-open the outlook and then the user should enter his credential which is must be matching to Office 365 UPN. What are the prerequires and important points to work in the Hybrid mode? Make sure your Autodiscover and you exchange records are published over Wide World DNS and points to Exchange. If your UPN is different than the domain you added to office 365 please open “Active Directory Trust and Domain” and add the correct UPN. You also can check the “ProxyAddresses attribute” in the “ADSIEDIT” and check that there is no wrong SMTP address. You also can uncheck the “V” option of “Automatically update e-mail address based on e-mail address policy” per a mailbox, or run this command using “Exchange PowerShell” and it unchecks the checkbox from all mailboxes. 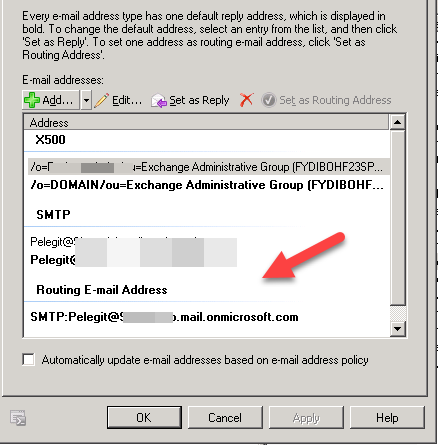 Make sure you are not syncing the wrong SMTP address, for example if your domain UPN is Meirp@Pelegit.local as you can realize that this domain isn’t valid in the “Accepted Domain” on Office 365 ,thereby you must remove irrelevant SMTP address from all mailboxes, you can’t sync unexciting SMTP that isn’t valid in your accepted domain, I on purpose emphasize it because many migrations failed due to this issue. Add domains to Office 365 and don’t change AutoDiscover and MX records yet – Just verification process. Enable office 365 trial license from licenses – you may wait up to an hour that all Admin center appears. 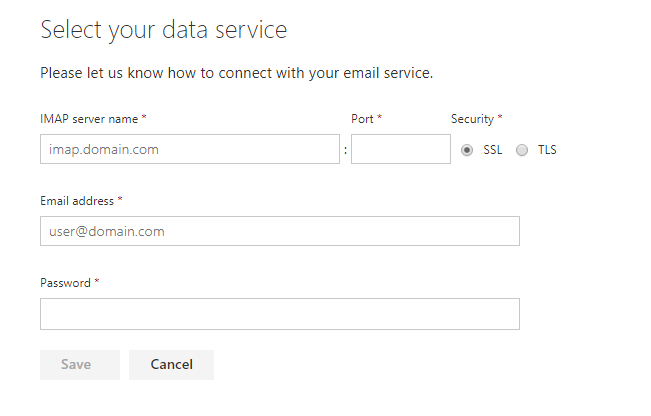 Use of “Global Administrator” credential in order to connect to office 365. Sync the contacts, group, distributions groups. Using the End-point you can see the on-premises environment data. – Ensure the A/V is not blocking the wizard, otherwise, exclude some sources. – Make sure the AD connect and Hybrid configuration is opening to MS service using 443 and 80. Running the hybrid wizard, it is not complicated at all, just make sure you understand everything you are donning and don’t continue without understanding the small things. 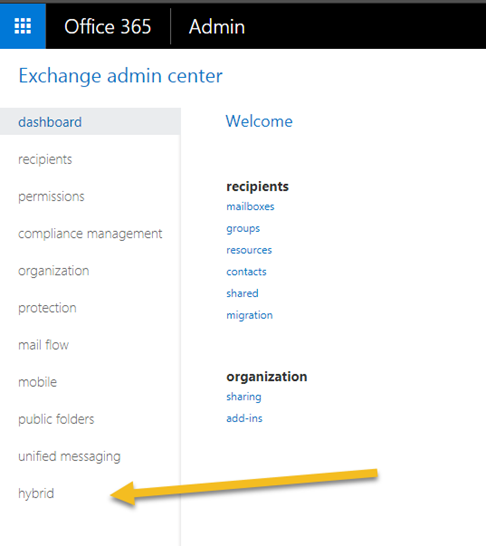 Hybrid configuration creates the connectors (Send/Receive), certificates, email address policy, federation trust, hybrid configuration, organization relationship, onmicrosoft SMTP address and some settings that help to route the email and data to Send / Receive an email to office 365 in the hybrid mode. How does migration process look like? If you see larger size than the original mailbox size – don’t worry it is ok, don’t work up, it is normal, migrate process adds some temporary data on the mailbox which helps them migrate mailbox. When we have a small organization with 50 mailboxes which is small env, we can migrate all of the mailboxes from a source email system to Office 365 at one click, when you run this sync it doesn’t mean that you cutting over the mailboxes, you can re-run the delta whenever you want, just whenever you decide to change the DNS at the specific time, you can re-run the batch again as last incremental action and then change the MX and DNS record to point Microsoft services. You have to take into your consideration that after this process you have to reconnect all user’s accounts to office 365 services and mobiles as well, their accounts were connecting to the old mail server. Microsoft allows you use this method only if your on-premises Exchange organization has fewer than 2,000 mailboxes. Make sure the Outlook Anywhere is enabled. You can’t use cutover migration when DirSync is enabled, you must stop the DirSync, therefore, you can create all source mailboxes as objects in your Active Directory, with the same UPN. and SMTP address and don’t run DirSync yet! Exchange Online mailboxes are synchronized every 24 hours, or you can re-run it manually. At the period of delta time, any deleted item in the on-premises environment will sync to exchange online as well. Autodiscover and you exchange records are required. You have to add the Domain to office 365 accepted domains as well. Error: UnexpectedTargetRecipientTypeException: An unexpected recipient of type ‎’Mailbox‎’ already exists in the target environment. 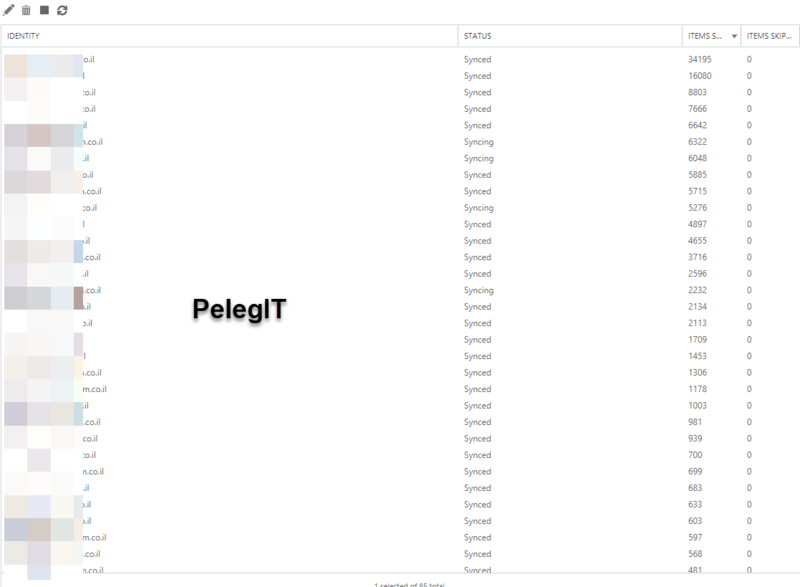 Expected a recipient of type ‎’Group‎’.Error: MigrationProvisioningPermanentException: The name “PelegIT” is already being used. Please try another name. –> The name “Pelegit” is already being used. Please try another name. Cutover Migration creates the mailboxes and users without licenses, at the end of the migration you should assign a license. You can turn on DirSync again, afterward, you should see that your object syncs with your on-premises Active Directory. 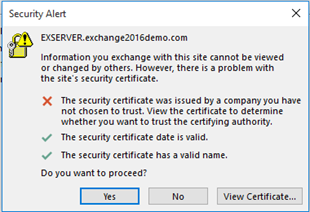 Change DNS record to Office 365 and completed domain verification. The annoying thing is the reconnect all mobiles and computer to office 365. Do not forget deleting the batch at the end of the process. Guys please don’t forget change DNS record and points them to Office 365. IMAP migration is another great way to migrate mailbox from mail system and you don’t have full permission for all mailboxes. IMAP migration allows us to migrate mailboxes using end user credential – email address and password. 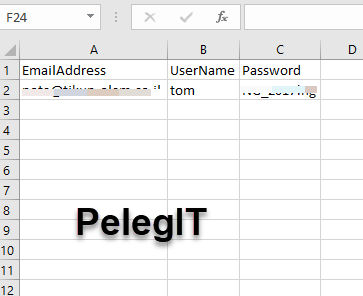 – You should create users in your office 365 and assign license before starting IMAP migration, regarding the password, it mustn’t be like source, you can to set a password to each user later on. The term for this is to create end-point as well as source exchange details. You have to add your domain to Office 365. However, it is migrating email items perfectly and you can use this option without purchasing any third-party software, it suites to migrate from email system which is based MS, although it supports exchanges server as well. After that, just specify the user’s password in the source environment: – Clickable users are licensed users. Also here you can resync the mailbox items whenever you want, like the cutover migration. The major difference is that here you must enter the user’s source password. As soon as you complete the migration you, can change the DNS records and points them to Office 365 services. As you can see guys, we have different options to move into Office 365 service, a third-party solution can do the provide us the same solution (the common are MIGRATIONWIZ and kernel migrator). It was important to me sharing the migration options and enrich your knowledge with regards to office 365 migration subjects. For any question and further information please don’t hesitate to leave a comment.